Ask an investor how to make money with gold and most would say by trading gold like shares (buy low, sell high) or by owning mining shares (or owning a mine). 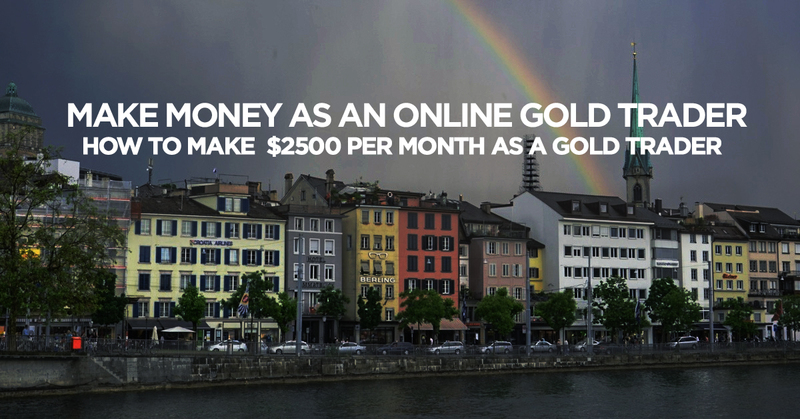 A little-known way to profit from gold trading is by referring gold buyers to open an online gold trading account. There is no capital investment required to be a referrer, and top affiliates are reported to be earning $2,500 a month in recurring income. The gold trading site is BullionVault, which is the world’s largest online gold service with over $2 billion worth of gold under management. As well as being an efficient and cost effective way to buy gold, BullionVault also offers the opportunity to make commissions by referring other gold buyers to open an account. With the BullionVault affiliate program you receive 25% share of commissions on gold trading by customers referred by you. In addition to that you will also get 6.25% share of commission on customers who are referred by your referrals (2nd level revenue). Not only can you make a commission on two levels of referrals, there is also the bonus of residual income. Commissions from your referrals and their referrals are paid for 2 years from the date each individual account was created. While you will have referrals who are buying gold on a monthly basis gradually building up their gold deposit, there are also those who use their BullionVault account for short-term gold trading. Similar to stock market day traders, these gold traders are are buying and selling in large quantities on a regular basis, taking their profit from the daily fluctuations of the gold price. You can make a commission from from every single gold trade for 2 years. With the referral program the commission is included in BullionVault’s advertised commission, so the commission the gold purchaser pays is the same with or without the referral. 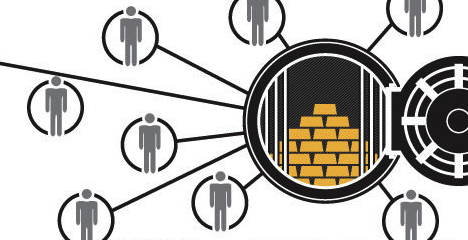 One of the best features of the BullionVault Referral Scheme is instant commission payouts. Once a deal is confirmed and closed your account is credited with the commission due. This will be added to your account in the currency the deal took place in (either USD, GBP or EUR). You are free to transfer your money to your nominated bank account, or you can put your commission earnings towards buying for gold for your own account. This would rank as one of the fairest affiliate program payment terms online. Even if you only make a few dollars a month with the BullionVault referral program you can put that towards the account management fee for your own gold deposit. There is no sign up process for the referral program as it’s built into your account. Opening a BullionVault account is free. Account registration takes less than a minute and once your account is open you are free to to start referring others. There is no obligation to buy gold yourself, so you can use the account to refer others. You can get started by opening a BullionVault account now and referring people you know who are interested in diversifying their investment portfolio. What strategy do you use in trading Gold with Bullion Vault?